Vodafone Group Plc (VOD.O) suspended purchases of equipment from Huawei Technologies Co Ltd. for the core of its wireless networks in another setback to the Chinese supplier’s growth ambitions. “We have decided to pause further Huawei in our core whilst we engage with the various agencies and governments and Huawei,” Chief Executive Officer Nick Read said on a call with reporters Friday. European telecom companies have grown wary of using Huawei over concerns that governments could ban the vendor. U.S. President Donald Trump’s administration has been pushing European allies to block Huawei from their telecom networks, citing fears that China could use its equipment for spying, something its executives have denied. The move by Vodafone follows a decision by BT Group Plc to rip Huawei gear out of the core of its mobile network in the U.K. Deutsche Telekom AG has said it’s reviewing its purchasing strategy in light of the concerns over Huawei and Orange SA has said it won’t start using Huawei in its business in France. Shenzhen-based Huawei has spent a decade seeking a technological edge over its European rivals Ericsson AB and Nokia Oyj in fifth-generation mobile networks due to be rolled out in coming years. Those efforts are now under threat if European governments decide to curtail its use. The vendor already faces bans in the U.S., Japan, Australia and New Zealand. 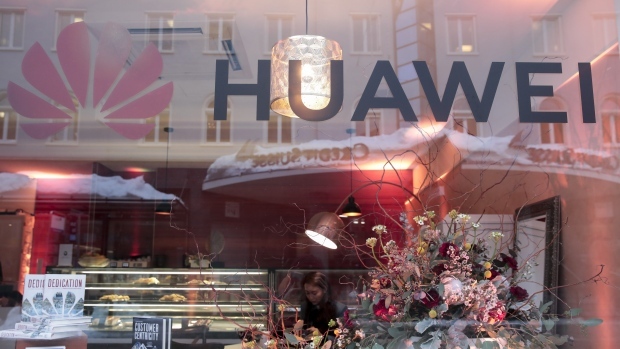 Any bans on using Huawei radio-access network gear “would be a significant implication for the European telco industry from a capital cost, and 5G rollout, which would take a significant delay,” Read said. Investors are watching the shifting winds affecting Huawei closely, too. The CEO of one of Ericsson’s largest shareholders, Investor AB, Johan Forssell, said he’s been following the rising number of bans imposed on Huawei. “The most important thing for us as a main owner in Ericsson is that Ericsson develops a competitive offer, and makes sure to win against its main competitors Huawei and Nokia," Forssell said in an interview.